In a world like The Walking Dead, there is no end to tragedy and strife. 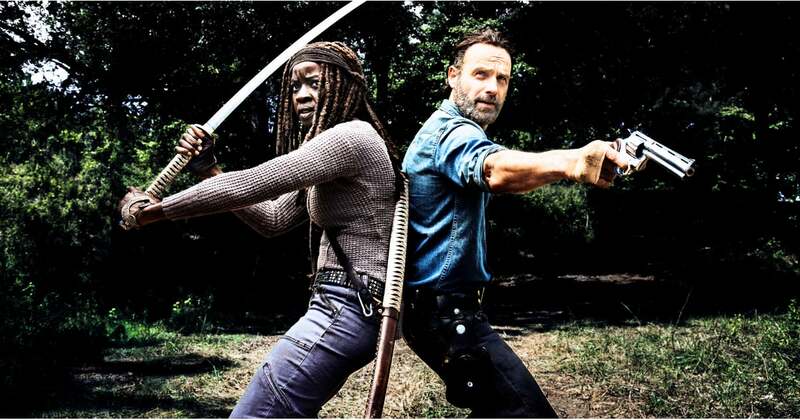 But somehow, amid all the death and destruction they experience, Rick (Andrew Lincoln) and Michonne (Danai Gurira) manage to find each other. Though the couple only become official in the sixth season, they’ve had an intense connection from the start. Michonne enters the picture after Rick’s group moves into the prison and are blissfully unaware of the threat of the Governor that looms in the background. When she stands outside the fence surrounding the prison and the two engage in a tense stare-down, there’s no doubt something significant is happening. And thus begins the journey that takes us to . . . Richonne. Gurira has since spoke about how they empower each other and Lincoln noted how they’re constantly expressing their love for one another, which makes the end of Rick’s time on the show all the more gut-wrenching. In honor of the couple’s final episode together, sit back and relax, because I’m about to show you the many times Rick and Michonne were obviously destined to become #Richonne.